Erin was gone. It was just Miss 4 and Mr 3 with me for 3 whole days. No sweat, I was a very capable, hands-on dad. But this time it was different. I was in a brand new city, a new country, and didn’t know anyone and didn’t know where to go or what to do. But I was up for the challenge. The first smart move was buying a SIM card for my mobile so I had mobile internet access when I was out and about. I needed maps, directions, web search and TripAdvisor in order to navigate and explore a brand new city. So I picked that up on the first day which made things much easier (€20 for a pre-paid SIM with 1GB of data). Next I searched online for fun things for kids to do in Dublin. The staff at our hotel provided some pointers and Erin had given me some ideas she picked up from Facebook and TBEX, including picking up a “Dublin Pass” card. This handy little green card provides discounts or free entry to dozens of attractions around Dublin. A 2-day hop-on-hop-off bus pass was a cash-saver and also could be used on public buses around town. Ok, old churches might not be a kids idea of a fun time, but it was a beautiful church that I really appreciated. Built in 1220, It is the largest church in all of Ireland and has a fascinating history. Next to the church is a large grassed area and plenty of space for kids to run and play. €5.50 entry per adult & kids free. Free entry with the Dublin Pass card. The resting place of well-known military figure, Strongbow. Apart from the breathtaking architecture, below the church is an expansive crypt featuring a well-known mummified cat and mouse found in an organ pipe around 150 years ago. €6 entry per adult & €2 per child (<16). Free entry with the Dublin Pass card. 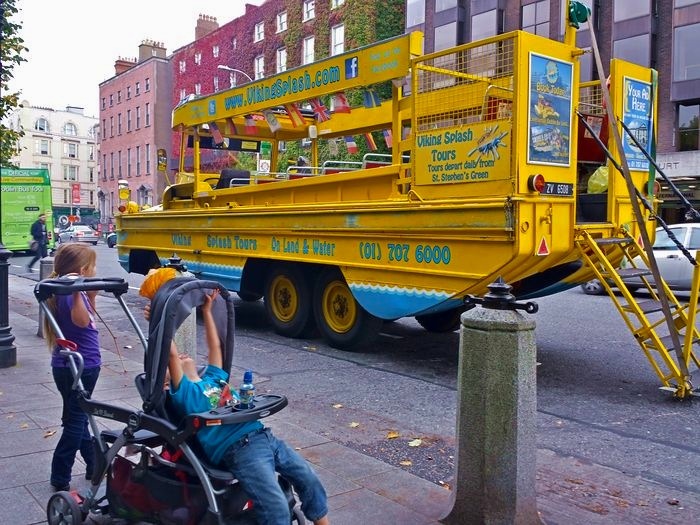 This was an easy way to get around Dublin and see all the most popular sites. The map they provided was handy. Some busses feature a live guide and others do multilingual audio tours. There’s lots of stops around town and they run very frequently. €18 entry per adult & kids free (<5). An interactive Viking and medieval exhibition, which the kids loved. There was so much to see, videos to watch, and audio bites to hear. It really helped make history come alive for them, from the foundations of Dublin through the dark ages and up to modern history. €7.50 entry per adult & €5 per child. Free entry with the Dublin Pass card. Also known as the “Dead Zoo”. Almost all of the public museums in Dublin provide free entry, which is great. This museum features hundreds of animals over 2 floors, from possums to zebras to gorillas. The kids loved recalling all the animal names and learning some new ones along the way. It has been a while since we’ve been in a country with movies in English, especially for kids. It was an easy to way to entertain the kids and confine them, and the theatres were pretty good too. 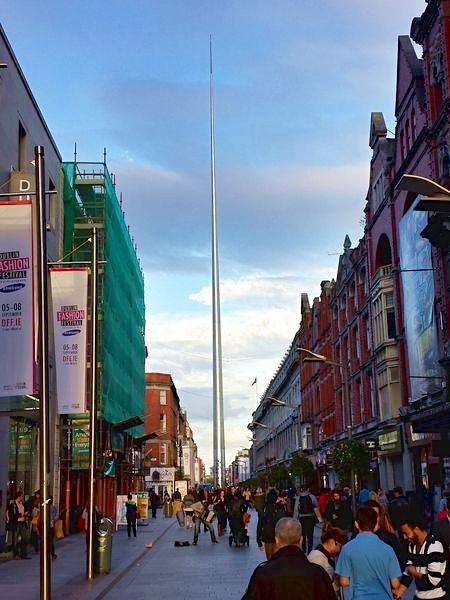 Nicely located in central Dublin just minutes walk away from the Spire of Dublin. 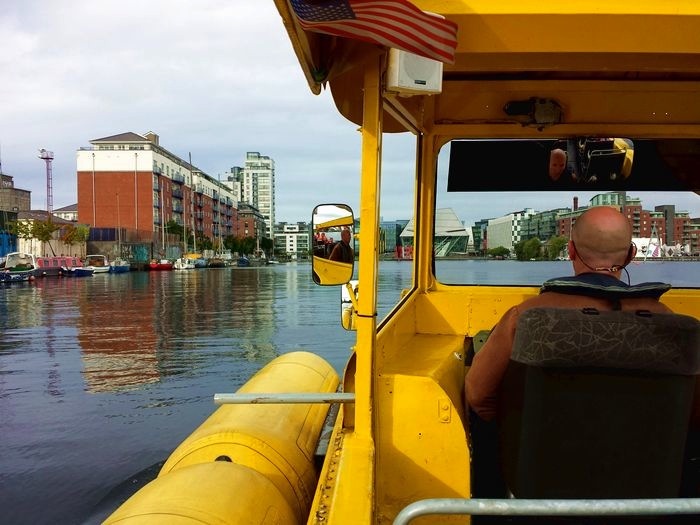 We have done dukw tours in Seattle and Boston, and we loved this one. The tour leader was very funny and the kids wore nifty Viking hats, which looked so cute. A great way to see the city from a different vantage point. €20 entry per adult & kids €12 (3 to 12). I searched online for indoor kids playgrounds and this one came up. I’m sure there was probably others closer to the centre of Dublin. It was a 20 minute taxi ride there (€28) but the kids loved it. Very handy considering it was raining outside at the time, so you can go any time of the year. A café for drinks and snacks is located inside. Conveniently located about 50 metres away is a McDonald’s restaurant. Opened in 1831, this is the oldest zoo in the world. It is also the most popular tourist attraction in all of Ireland. It’s easy to see why. It’s well laid out with lots of interesting animals. Pushing a pram around was easy. 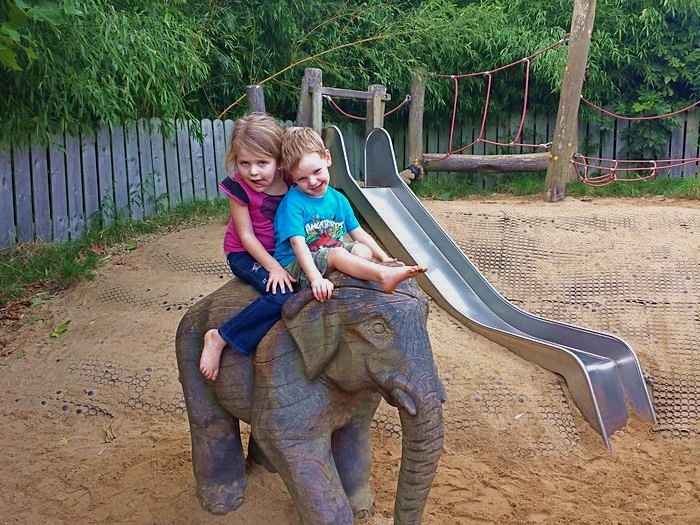 The kids actually spent more time playing on the numerous playgrounds scattered around the zoo. The zoo is located in Phoenix Park, which is also a lovely spot for a picnic. €16 entry per adult & €11.50 per child (3 to 16). 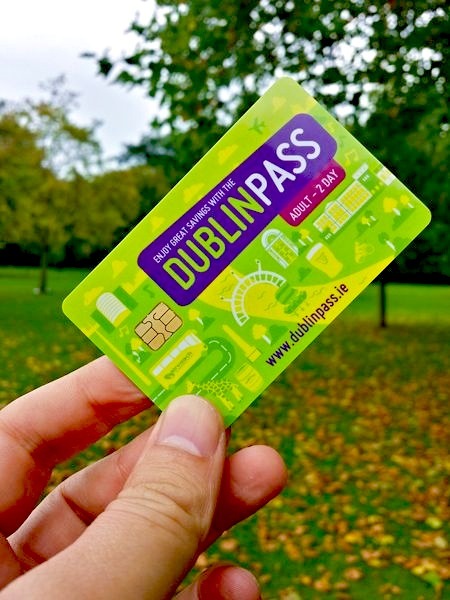 Free entry with the Dublin Pass card. 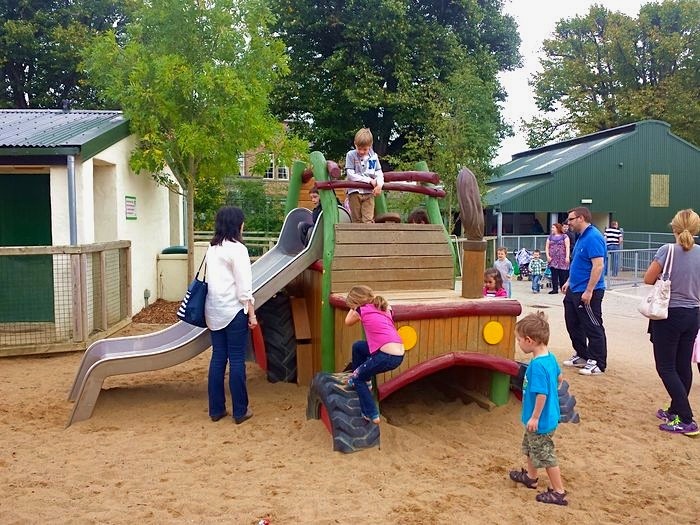 Located on the eastern side of the park is a massive outdoor playground. Mia & Caius love playgrounds and they could have spent all day in here. We visited twice and each time it was packed with kids. It’s easy to see why it’s so popular with locals and visitors alike. There were still so many more things we could have done, but with just 3 days we fit in as much as we could. Maybe a little too much. But with limited time in this beautiful city, I wanted to make the most of it. The pram was definitely a life-saver as the city is easy to walk around and navigate by foot. Hopefully this list will help you out when you visit Dublin. So much to do! I've never been to Dublin other than a quick drive through and a look at the Guinness factory gates. How things change when you have children in tow! 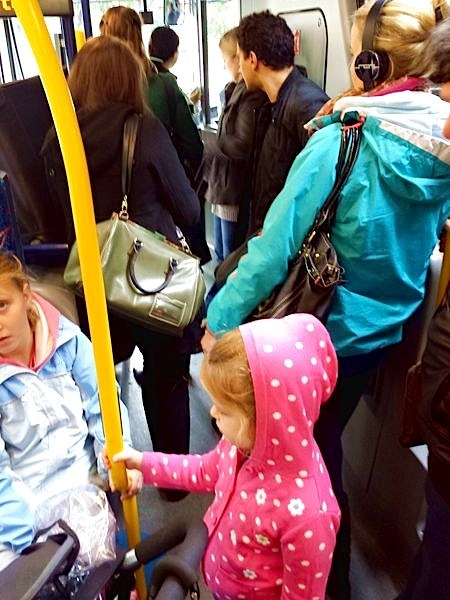 I love Dublin; when I was there I went on a ghost bus tour which was pretty cool, maybe not so suitable for kids though! Looks like you guys had a great time.